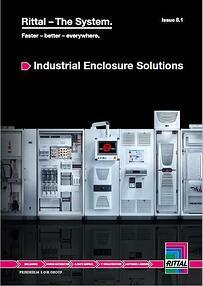 Rittal’s latest Industrial Enclosure Solutions Issue 8.1 offers a short form reference to our most popular enclosure, climate control and power distribution products . The 76 page brochure is designed to simplify product selection addressing the needs of design engineers and switchgear manufacturers. The interactive downloadable PDF makes it even easier to navigate the brochure.